Born at Roland on 27 December 1893, son of S. E. Fennell and Beatrice May DeLong, he was educated at the Roland School. He was associated with the Maple Leaf Milling Company before becoming a member of the Winnipeg Grain Exchange, later serving as a member of its Board of Governors. On 16 September 1922, he married Mary Marjorie Douglas (?-? ), daughter of R. A. Douglas, of Winnipeg. They had three children: Beatrice Carolyn Fennell (married to F. J. Fricker), Nancy Lois Fennell (married to D. L. Hadden), and Leslie Roberta Fennell. He served as Mayor of the Town of Fort Garry from January 1946 to December 1953. 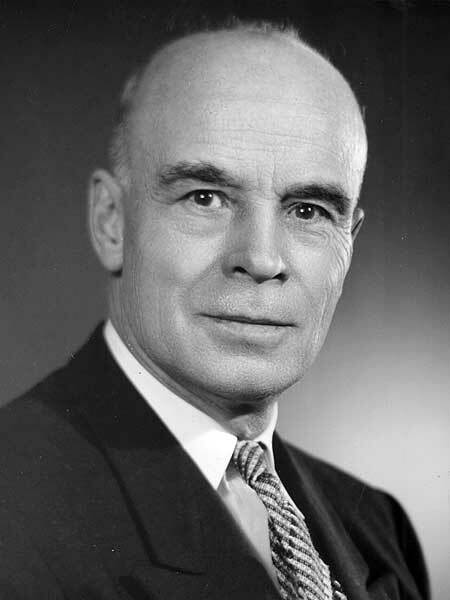 He was elected to the Manitoba Legislature at the 1953 general election, serving a single term, and was defeated in 1958. He then returned to municipal politics as Mayor of Fort Garry for another four, two-year terms. He moved to Port Hope, Ontario in 1973, where he died on 29 August 1986. He is commemorated by Fennell Street in Winnipeg. Obituary [Marjorie Fennell], Winnipeg Free Press, 13 August 1979, page 37. Obituary, Winnipeg Free Press, 31 August 1986, page 28. We thank Alex Collins for providing additional information used here.